Gemma Open Door, 9781936846078, 100pp. Albert Butler once wished to be an artist, but scandal destroyed his life. Now old and sick, he takes us back through his troubled childhood, England's Blitz, and two passionate affairs. Returning to his former London haunts, he confronts old friends who have never forgiven him his sins, and sets out on a journey along the Thames that will bring him to the final and naked truth about himself. The Gemma Open Door Series features storytelling by best-selling authors and important voices for new readers. A story doesn't have to be big to change our world . Naeem Murr's first novel, The Boy, was a New York Times Notable Book. Another novel, The Genius of the Sea, was published in 2003. His latest, The Perfect Man, was awarded The Commonwealth Writers' Prize for the Best Book of Europe and South Asia, and was long-listed for the Man Booker Prize. His work has been translated into eight languages. He has received many awards for his writing, most recently a Guggenheim Fellowship and a PEN Beyond Margins Award. 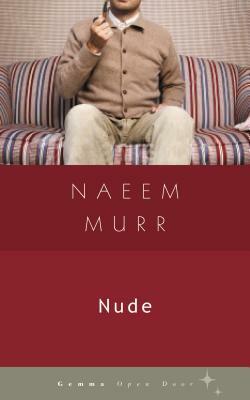 Born in London, Naeem Murr now makes his home in Chicago.